Smoothies are much loved by everyone, but not many know about the huge benefits they pack in. Healthy, nutritious, potable and very convenient to carry around, they are high-on-fuel breakfasts, but can also be great for lunch or dinners. 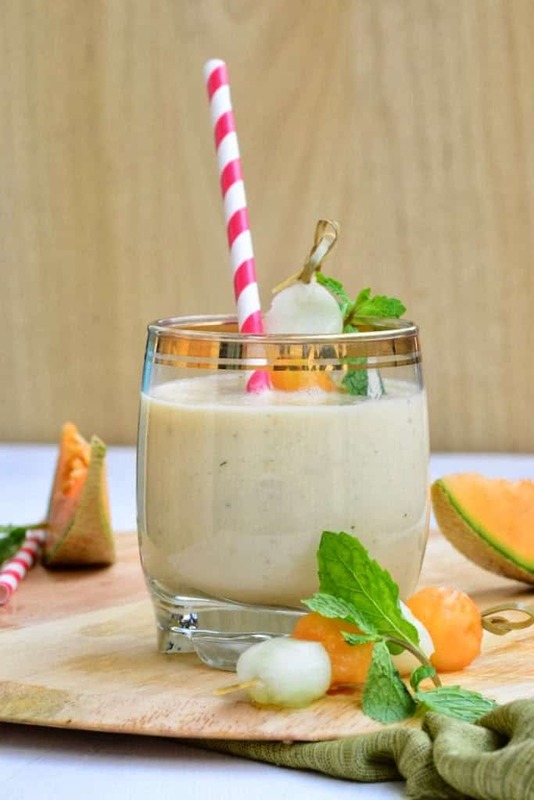 Made with a variety of fruits and vegetable, smoothies provide important vitamins, minerals, and nutrients that are not a part of the regular diet. Blending vegetables with a base of milk, tofu or yogurt makes them a quick and healthy diet option. 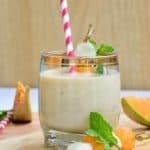 Cucumber Melon Smoothie brings together essential and key ingredients that pair beautifully together to create this delicious drink. Carry it around on your dash from home to work, and back again, and it will tide you through all the craziness. 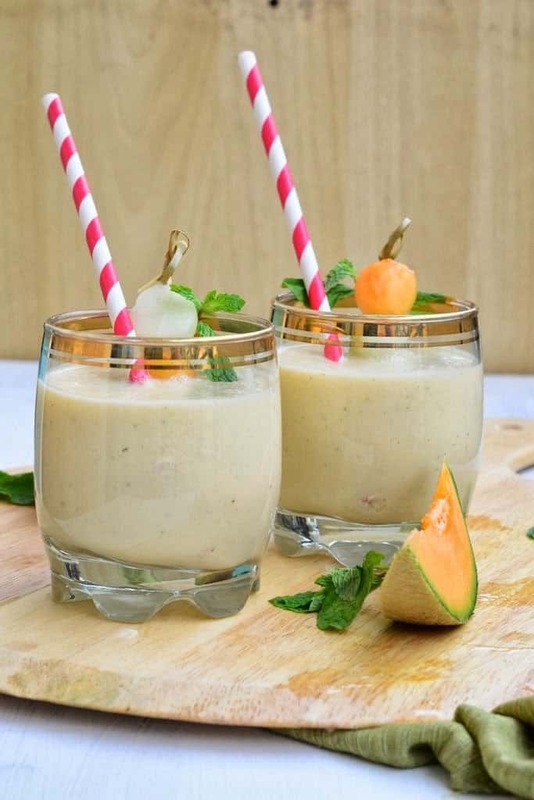 For another delicious smoothie option, try the Mango Vanilla Smoothie. 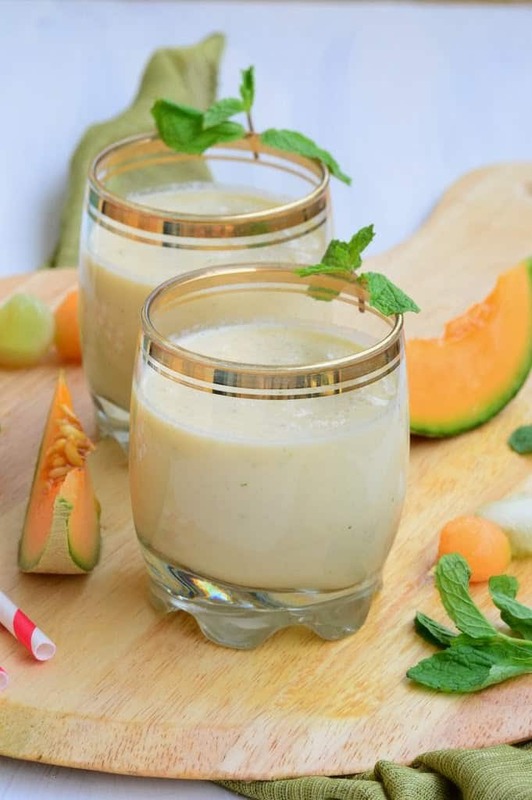 For today, I have shared the recipe of yummy Cucumber Melon Smoothie with you. Make sure to prepare it this afternoon and sip it without a care! 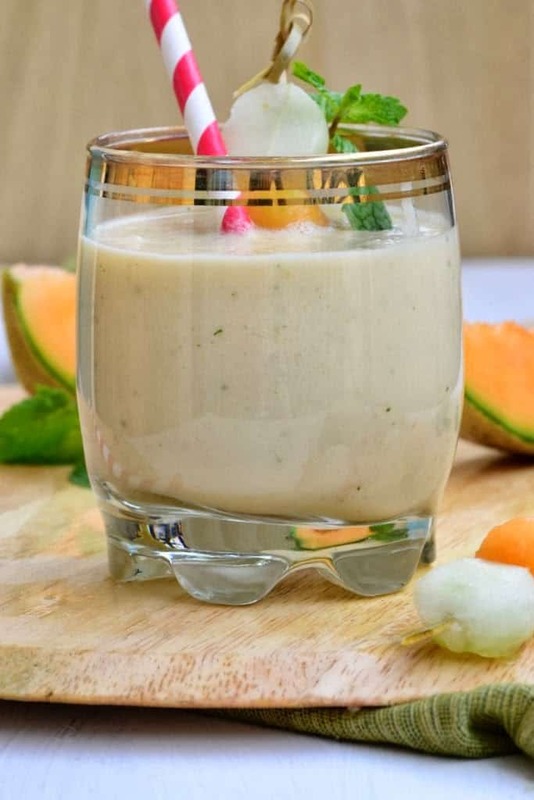 Blend cucumber, melon and mint in a blender to make a smooth paste. Add yogurt and sugar and blend well. Pour in glasses. Add ice cubes if you want. 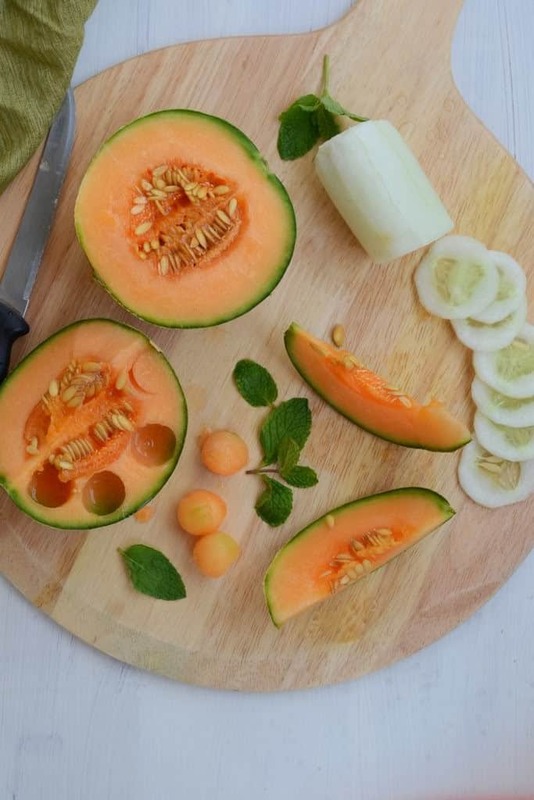 Garnish with melon and cucumber balls threaded in skewers or a tooth pick. Came throguh fb page.Liked ur FB page.Nice blog..n beautiful cliks..BTW Iam maha.